Vito LaManna is an advanced artist of Blackmagic Design Fusion. Participate in his Fusion contest and win great prizes from BMD. 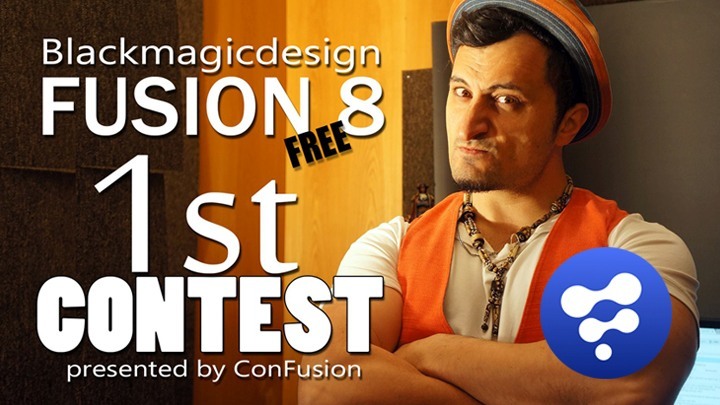 Welcome to the first Fusion contest by pro artist Vito LaManna. Vito is very well known for his advanced level video tutorials of Blackmagic Design (BMD) Fusion titled as Con-Fusion on YouTube. He is versatile artist with expertise in various modules of Animation, VFX and Direction. Vito is co-founder of Berlin based Animation and VFX Studio MovieBrats. Check out contest details below. Watch this light bulb tutorial by Vito LaManna. Create your own output based on the method shown in the tutorial. Mail your YouTube video link to vitoconfusion@gmail.com with the subject as ‘LightbulbContest’. Make sure to use free version of BMD Fusion only without any plugins. The contest will end on 19th February 2017. Check out Vito’s earlier video, explaining more about the Fusion contest.